This April Adalberto Battaglia, the Italian chef known as The King of Gnocchi, is bringing a Wagyu beef menu and more to Maple & Fitz in Fitzrovia on Friday nights, starting on 8th. £40 gets you a 5 course Italian dinner, with Wagu beef and truffles as two highlights, plus it's BYOB. Got to be done! "Grub Club veteran and Italian chef Adalberto Battaglia - Adha in short - (aka ‘The King of Gnocchi - a name he gained after a few years of street food success with it!') has devised another mouth-watering menu! Again he's taking up shop in the heart of Fitzrovia to serve up an indulgent Wagyu beef menu! You'll be feasting on a five-course menu packed with the best ingredients available! From fresh asparagus selected by best Farms in Sussex by Adha himself, to the truffles and Porcini mushrooms, respectively form Umbria and Tuscany; plus Scottish Wagyu beef (from Adha's friend supplier in the Highlands) the best, the juiciest and richest beef in the world. Its intense, succulent flavour will melt in your mouth. You won't get better value or a more fun Friday night dinner! Expect to sit close together with friends and strangers at communal tables. 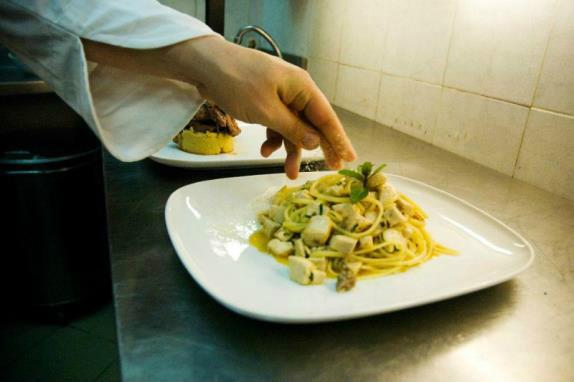 You'll experience the real Roman style conviviality of trattorias."